Welcome new employees without the paperwork. Simply send them an invitation, let them enter their details, and we’ll do the rest. New hires can hit the ground running with a digital onboarding process that’s easy, secure and hassle free. Whether on phone or computer, new staff members can receive and provide required information without the paper stack. 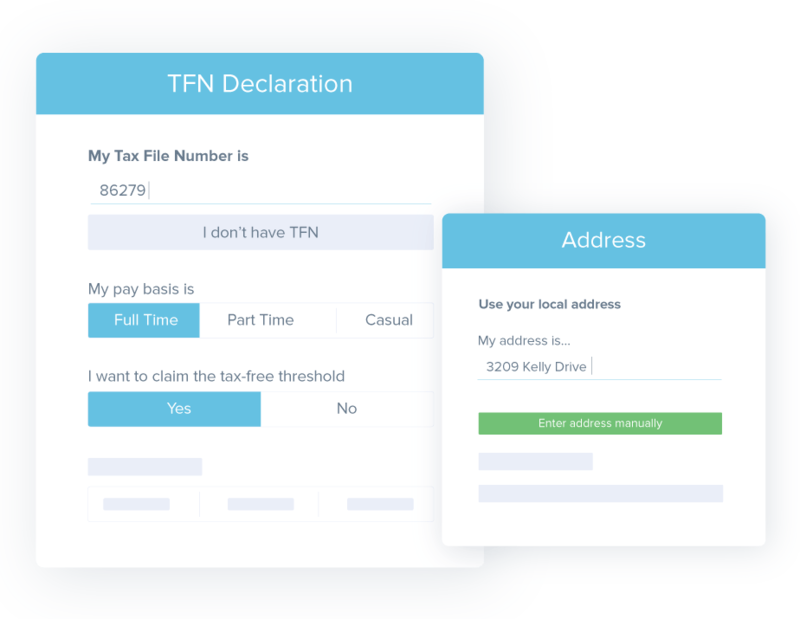 Employees enter their personal information and bank details straight into Tanda and your payroll system. Collect and validate employee bank details as part of the onboarding process. 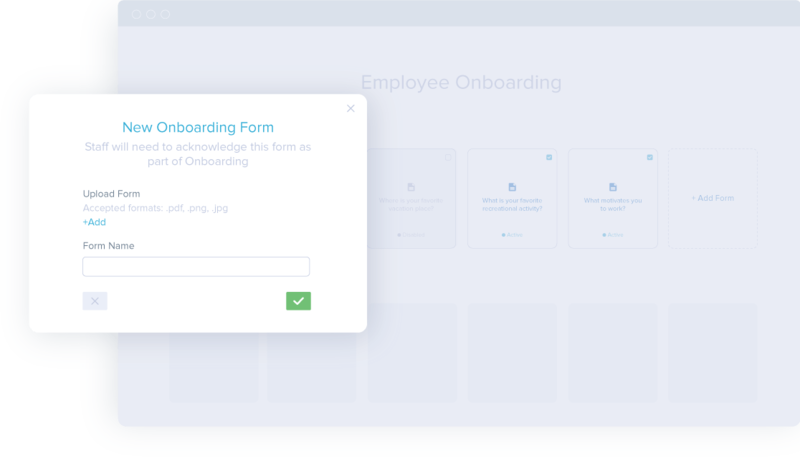 Tanda’s onboarding feature checks that details are valid before employees submit their forms. 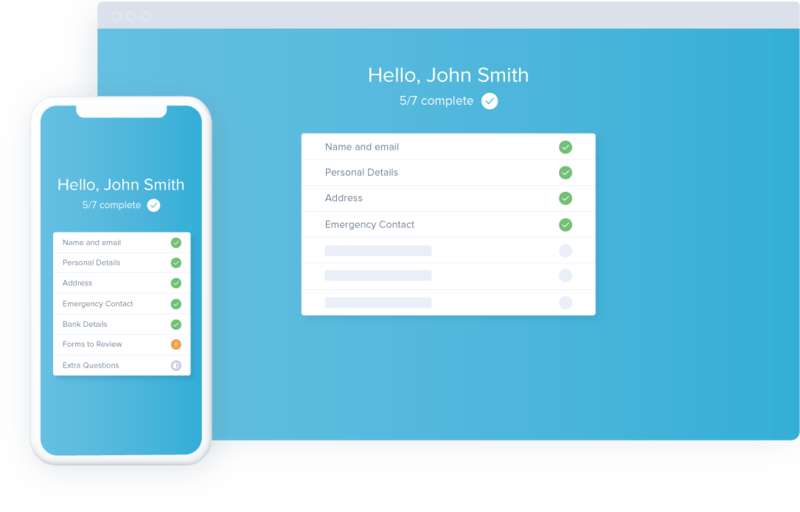 Tanda’s Onboarding software validates employee addresses against Google Maps to ensure the data you receive is accurate. New employees must read and digitally accept any documents you provide before they begin work. Tanda allows you to upload unlimited company documents so that you have compliant records for all new staff. 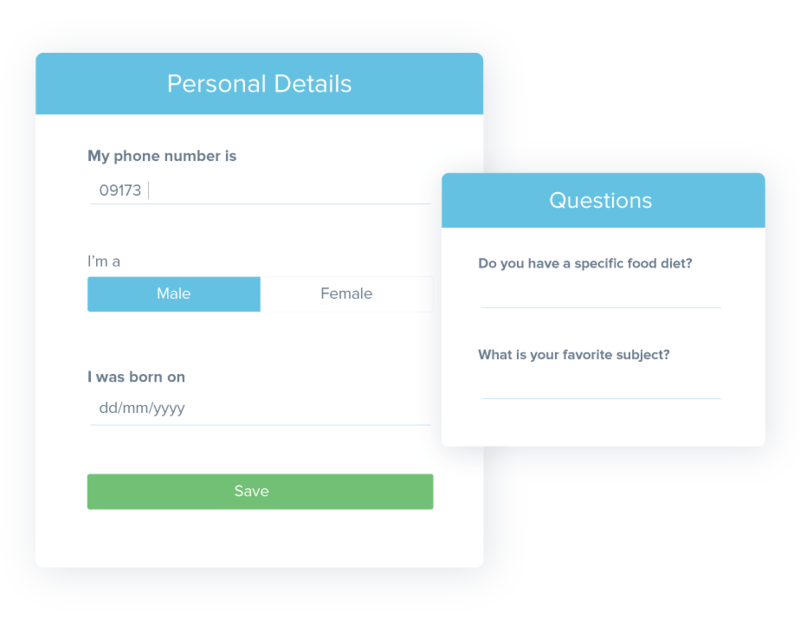 Tanda’s Employee Onboarding process allows you to collect any information you need from new staff. Simply set up the questions you’d like to ask, send an invitation to new staff, and you’re done.